The Barr & Stroud Sahara 8x25 is a rugged go anywhere compact binocular. Equally at home on the majestic plains of the Serengeti, the beach at Bognor or a day at the races. The Sahara range from Barr & Stroud feature rugged construction combined with brilliant optics. They are waterproof to a depth 1.5m of water for three minutes, plenty of time to retrieve them if you have dropped them in a stream or puddle. This requires a high degree of mechanical quality in the construction of the binocular which is evident as soon as you pick the binocular up or use the super smooth focus control wheel. We dont expect that you will make a habit of dropping the binoculars into deep water but we do expect that you will want to use them in any weather the planet can throw at you, so you can feel assured that the Barr & Stroud Sahara can take it, again and again. This ability is further enhanced by the binoculars rubber armoured body which protects it from shocks and knocks. Fully Multi Coated optics are standard features of the Barr & Stroud Sahara range as are BaK-4 prisms. This ensures that as much light as possible is transmitted through the optics which results in a super bright contrast rich images for the user even in low light conditions where less expensive optics and coatings result in a dramatic loss of performance. The Barr & Stroud Sahara 10x25 is a rugged go anywhere compact binocular. Equally at home on the majestic plains of the Serengeti, the beach at Bognor or a day at the races. This is a compact binocular that will easily fit into a jacket pocket and delivers a powerful 10x magnification. The Sahara range from Barr & Stroud feature rugged construction combined with brilliant optics. They are waterproof to a depth 1.5m of water for three minutes, plenty of time to retrieve them if you have dropped them in a stream or puddle. This requires a high degree of mechanical quality in the construction of the binocular which is evident as soon as you pick the binocular up or use the super smooth focus control wheel. We dont expect that you will make a habit of dropping the binoculars into deep water but we do expect that you will want to use them in any weather the planet can throw at you, so you can feel assured that the Barr & Stroud Sahara can take it, again and again. This ability is further enhanced by the binoculars rubber armoured body which protects it from shocks and knocks. Fully Multi Coated optics are standard features of the Barr & Stroud Sahara range as are BAK-4 prisms. This ensures that as much light as possible is transmitted through the optics which results in a super bright contrast rich images for the user even in low light conditions where less expensive optics and coatings result in a dramatic loss of performance. The Barr & Stroud Sahara 8x32 is a rugged go anywhere binocular. Equally at home on the majestic plains of the Masai Mara, the beach at Brighton or a day at the races. The Barr & Stroud Sahara 8x42 is a rugged go anywhere binocular. Equally at home on Lake Naivasha, the beach at Bridlington or a day at the races. This is a compact roof prism design that makes an ideal all round performer with good light gathering ability. The binocular focuses down to just under 2m making it ideal for naturalists and birdwatchers alike. 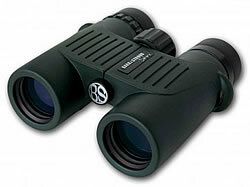 The binocular delivers a powerful 8x magnification. The binoculars are filled with nitrogen gas which keeps water out and also stops the optics suffering from internal fogging in adverse weather conditions. The Sahara 8x42 are supplied with carrying case, rain guards, tethered lens caps, straps and lens cleaning cloth. 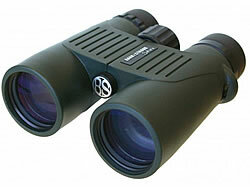 The Barr & Stroud Sahara 10x42 is a rugged go anywhere binocular. Equally at home on the majestic plains of Tsavo, the beach at Bridlington or a day at the races. This is a compact roof prism design that makes an ideal all round performer with good light gathering ability. The binocular focuses down to just 2m making it ideal for naturalists and birdwatchers alike. The binocular delivers a powerful 10x magnification. The Sahara 10x42 are supplied with carrying case, rain guards, tethered lens caps, straps and lens cleaning cloth. 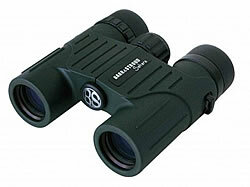 The Barr & Stroud Sahara 10x50 is a rugged go anywhere binocular. Equally at home in the Aberdare Hills, the beach at Boscombe or a day at the races. This is a roof prism design that makes an ideal all round performer with very good light gathering ability. The binocular focuses down to just under 2.5m making it ideal for naturalists and birdwatchers alike. 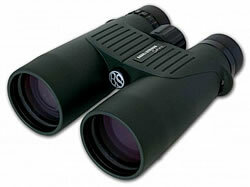 The binocular delivers a powerful 10x magnification. The Sahara 10x50 are supplied with carrying case, rain guards, tethered lens caps, straps and lens cleaning cloth. The Barr & Stroud Sahara 12x50 is a rugged go anywhere binocular. Equally at home on Mount Kilimanjaro, the beach at Boscombe or a day at the races. This is a powerful roof prism design that makes an ideal for those needing more powerful binocular. The binocular focuses down to just under 2.5m making it ideal for naturalists and birdwatchers alike. The binocular delivers a powerful 12x magnification. For the comfort of the user the binoculars are supplied with twist up rubber eyecups which make them equally practical for people to use with or without spectacles to. The Sahara 12x50 are supplied with carrying case, rain guards, tethered lens caps, straps and lens cleaning cloth.